Figure 10. Cylinder Head Cover Plates. (Figure 10, Item 4) to cylinder head (Figure 10, Item 1). 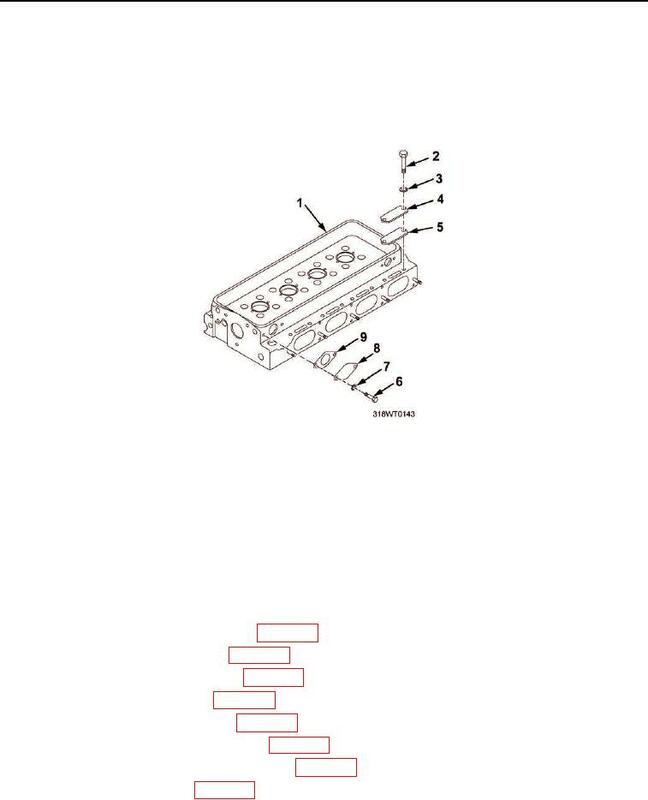 Remove four cover plates (Figure 10, Item 4) from cylinder head (Figure 10, Item 1). Remove four gaskets (Figure 10, Item 5) from cylinder head (Figure 10, Item 1). Install four bolts (Figure 10, Item 6) and lockwashers (Figure 10, Item 7). Tighten bolts securely. Install engine elbows, tees, adapters, and plugs. Install cylinder head valve seat inserts (WP 0057). Install cylinder head valve guides (WP 0059). Install cylinder head poppet valve rocker arm (WP 0049).